Call us today to learn more about our youth sports programs at (630) 978-2855! It is the philosophy of Wheatland Athletic Association to progressively develop children’s skills by offering programs for various age levels. As they develop, the children are taught the value of good sportsmanship and teamwork. Our intent is for children to have FUN and to enjoy the sport they play while learning the character building lessons that come from participating in team sports. 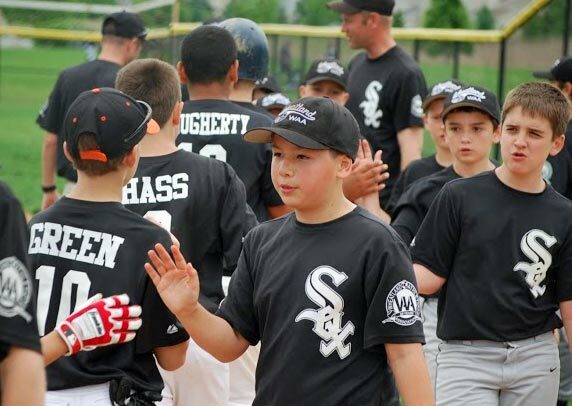 WAA emphasizes the fundamentals of baseball as players are taught the basics of hitting, throwing, catching and base-running within a framework of teamwork and sportsmanship. A 3 week camp that will cover pitching mechanics, fielding your position and how to prepare your body for the upcoming season. Participants will learn drills they can do at home to become a better pitcher. For recreational, competitive and travel baseball players for grades 1 through 8. Designed to help develop a more relaxed, confident, and consistent infielder. Build your defensive skills through steady reps, advanced training, and explosive first steps to the ball. Our trained instructors will help you understand the proper ways of playing the infield. Once the proper ways have been demonstrated and understood, a fast paced style of training will occur to get you ready for your upcoming season. Wheatland Ducks Director of Ducks Gold, Bill Smith, will LEAD this camp. For COED recreational and competitive baseball/softball players ages 7 to 12 years old. Description: This highly instructional camp for Pre-K and Kindergarten baseball/softball players will provide the players with 4 weeks of instruction and game like situations. The first part of the program will focus on the fundamentals while the second part of the program will turn its focus to game like situations. This is a highly structured format for beginners. We want to teach them how to learn the game the correct way. Parents are encouraged to participate. The best hitters in baseball have powerful swings. You can have the best eye in the game but if you can't drive the ball out of the infield, you will quickly fall behind your competition. The HIT Club is a NEW hitting circuit created to develop all of the muscles needed to have a powerful swing. Through hitting and exercise stations, each player will work on essential muscles to develop a more powerful swing. For competitive and travel caliber baseball/softball players for Grade 2 through 8. Designed to help develop a more relaxed, confident, and consistent defender. Build your defensive skills through steady reps, advanced training and explosive first steps to the ball. Our trained instructors will help you understand the proper ways of playing the infield and outfield. Once the proper ways have been demonstrated and understood, a fast paced style of training will occur to get you ready to take the next step. Wheatland Ducks Director of Ducks Gold, Bill Smith, will LEAD this camp. For COED recreational, competitive and travel baseball/softball players.